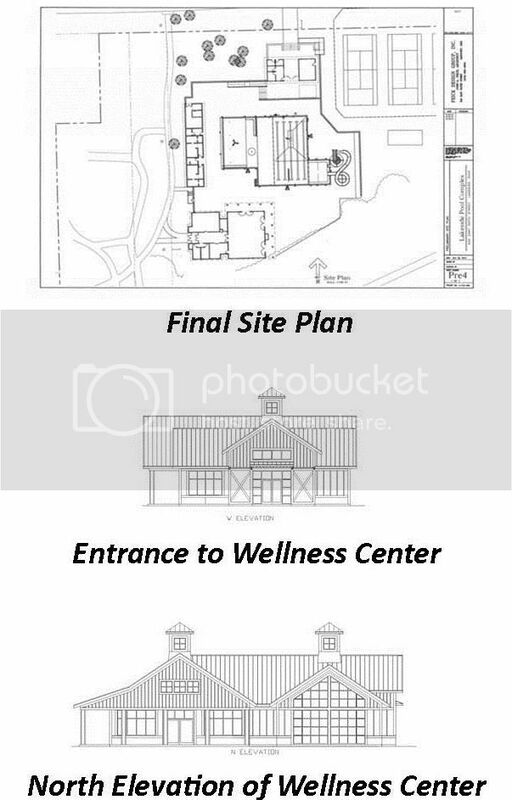 Over the past two months, Lakeside Chautauqua has been diligently preparing the initial construction specifications for the Pool & Wellness Center and working with Ottawa County and Danbury Township to obtain the necessary project approvals. On October 22, the Lakeside Chautauqua Board of Directors conducted a special meeting to review all of the zoning activities and project plans, costs and timelines. A resolution was presented to the Board to approve the project plan and commence construction in order to stay on track to open this new facility by next summer. Lakeside has completed the various applications and has appeared before the Ottawa County Regional Planning Commission and the Danbury Township Zoning Commission, receiving unanimous recommendations of support from both organizations for the Pool & Wellness Center. These recommendations were forwarded to the Danbury Township Trustees in preparation for their meeting and public hearing on October 25. Upon receiving and reviewing these recommendations, the Danbury Township Trustees also unanimously voted to approve the zoning changes required for the project. We anticipate receiving our permits and breaking ground on the project in November. Leading up to the Lakeside Chautauqua Board meeting this month, the Pool & Wellness project team worked with various contractors to further refine the plan. At its meeting, the Board reviewed a revised project plan that incorporated suggestions by the community and adjustments based on the soil depth of the site, ensuring that the overall project cost equals Lakeside's budgeted amount. After reviewing the plan and cost information, the Board unanimously passed a resolution to proceed with the construction of the Grindley Aquatic & Wellness Campus. In November, contractors will start to move equipment to the site and begin excavation work. The Pool & Wellness project team has spent a considerable amount of time on the construction timeline and has built 20 weather delay days into the schedule. However, we welcome and encourage prayer for a mild winter and remain optimistic that we'll be able to meet our anticipated opening date for early July 2017. In addition to the activities detailed above, the Wellness Advisory Team conducted its first meeting this week to begin creating a framework to define and elevate wellness at Lakeside. This team will be assisting staff in the development of supporting wellness programs. Team members include Vicki Becker, Chris Brucken, Jeff DePerro,Mame Drackett, Caroline Gatsch, Christine Grindley, Jane Grindley, Linda Green, Susan Hackbarth, Jane Leach, Jerri Lybarger, Dr. Andy Naumoff, Carolyn Pytlik, Cate Reiter, Margie Shade, Laurie Switzer, Laura Tyson, Kevin Sibbring and Gretchen Colon. We thank this enthusiastic group for their passion as we work together in developing a wellness program that supports all four Chautauqua pillars. Thanks to the generosity of Lakesiders, we have taken a major step in making this vision of a Pool & Wellness Center a reality at Lakeside Chautauqua. This project required giving at all levels and Lakesiders have once again demonstrated their love for this special community. Thank you! The Pool & Wellness Campaign remains open as we continue to receive tax-deductible gifs. For more information, visit www.lakesideohio.com/giving/today or contact (419) 798-5396 or advancement@lakesideohio.com .